HOUSTON, Texas -- Church bells throughout Orlando will ring 49 times at noon Monday, a year after the worst mass shooting in modern U.S. history. Gov. Rick Scott ordered U.S. flags around Florida to be flown at half-staff, a giant rainbow flag will be unveiled at the Orange County government building, and three separate services at the Pulse nightclub will be held as well as a large evening gathering in the heart of downtown Orlando to honor the 49 patrons massacred at the gay nightclub. 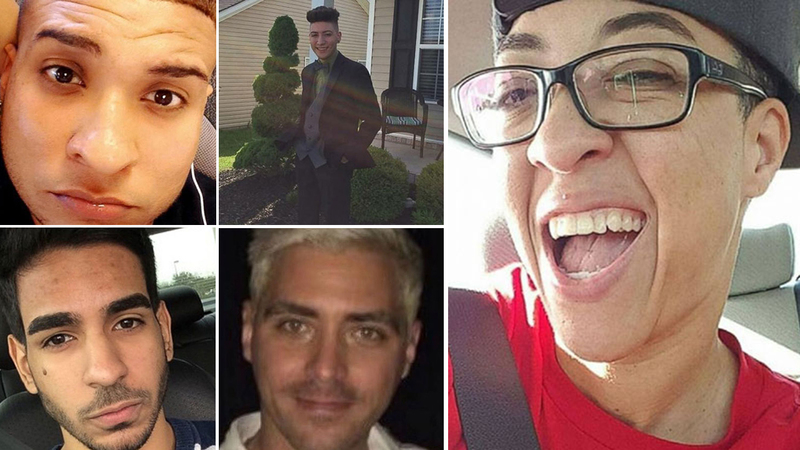 The first service, closed to the public, was to be held for survivors, local officials and club employees, overlapping with the exact time gunman Omar Mateen began firing shots a little after 2 a.m. on June 12, 2016 during "Latin Night" at Pulse. It would be followed by another midday service at the nightclub, and an evening gathering in the heart of downtown Orlando. A final, music-filled late-night service is being held at the nightclub. And here in Houston, the Montrose Center will hold a vigil for the Pulse Nightclub victims tonight from 7 to 9 p.m. on 401 Branard St. The vigil will feature speakers from the Latinx communities. A proclamation signed by Mayor Sylvester Turner will also be presented by Mayor Pro Tem Ellen Cohen around 7:45 p.m.
Monday's services culminated several days of events aimed at turning the grim anniversary into something positive. A foot race was held over the weekend, and eight gay and lesbian students were awarded $4,900 toward their college studies by a local businessman. Local officials have declared the one-year mark as a day of "love and kindness," and they are encouraging residents to volunteer or perform acts of compassion. An exhibit of artwork collected from memorial sites set up around Orlando after the massacre will be shown at the Orange County History Center. The club's owner, Barbara Poma, is developing plans to build a memorial at the Pulse site.